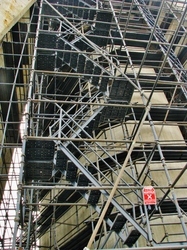 Cuplock scaffolding is a very popular and versatile scaffold system that is in use all over the world. The ease of handling, easy storage space requirements and high load bearing capacity are the main reasons for its immence popularity. We manufacture Cuplock Scaffolding System in Hot Dip Galvanised as well as Painted coated finish as per customer's requirement. Cuplock is a fully galvanized multi-purpose steel scaffold system for general access and supporting vertical loads. The unique circular node point allows up to 4 components to be connected in one fastening action. Cuplock staircase towers and mobile towers are also available. Cuplock is ideal for a wide range of applications including continuous façade, circular scaffold, birdcage access and staircase access. Accepts scaffold boards, battens or decking platforms. 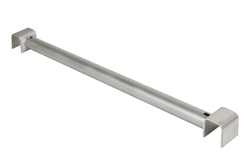 Cup lock Standards have cup joints welded at every 500mm or 1000mm intervals, thus offering levels for working & also for bracing the standards while using in the slab support when loaded. Ledgers have forged blade ends which fit in the cup joint on the standard. 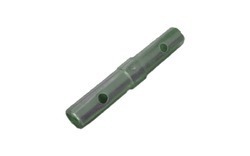 They can be used in variety of Ledger size combinations to suit required bay size. 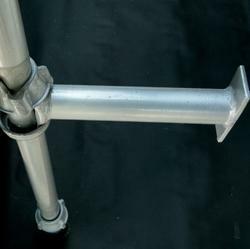 Beam support bracket are used to support the drop beams encountered within the regular slab support grid. This eliminates the need for the beam bottoms to be propped up from the ground. The beam brackets are capable of receiving adjustable jacks for reaching the beam bottom level. 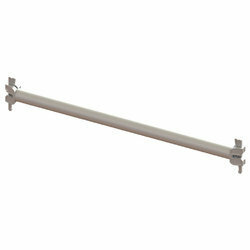 This bracket receive 1, 2 or 3 board of 9 inch width as per your requirement. Suspended scaffold assembles from the top down, not from the bottom up. Therefore your crew can work over water, traffic, utility lines, railways, shipyards and production lines with greater ease, safety and money savings. Access the complete fascia or underside of bridges to inspect, paint, or sandblast. Inspect or repair piers, tanks, oil rigs, ships etc. 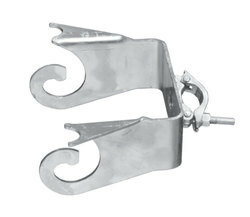 Our range of spigot encompasses and has extensively been valued for delivering excellent results in being used as glass clamps, which are widely applicable in commercial and residential sectors. These are used when necessary verticals are connected end to end by an internal spigot. 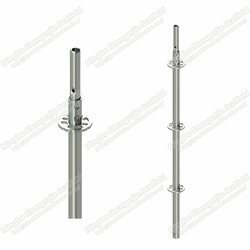 We manufacture these in a wide range using the high quality material which can be obtained from us at comprehensive price range. Intermediate transom provides a safe mid-bay support for 38mm scaffold boards. They hold the ledgers in their jaw sections and prevent the central bending of the platform boards. 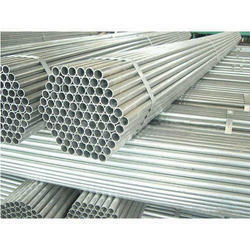 Looking for Cuplock Scaffolding ?